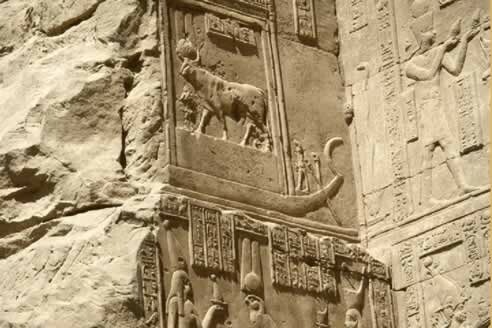 Close to Luxor Upper Egypt and along the Nile heading north towards Cairo is the location of the Temple of Hathor at Denderah. 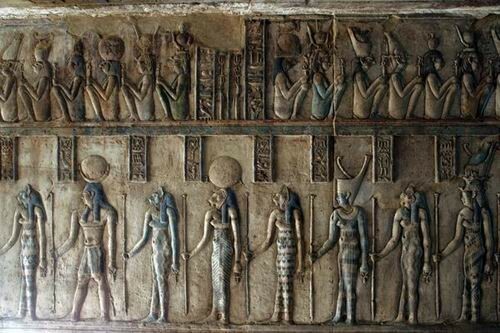 A Temple depicting the cross cultures of the Pharaonic and Greco- Roman periods with interesting depictions and carvings unusual to that of the main Temples in Egypt. About 1 hour and 15-30 minutes driving from Luxor City heading north along the edge of the Nile or sailing on a Nile Cruise option. 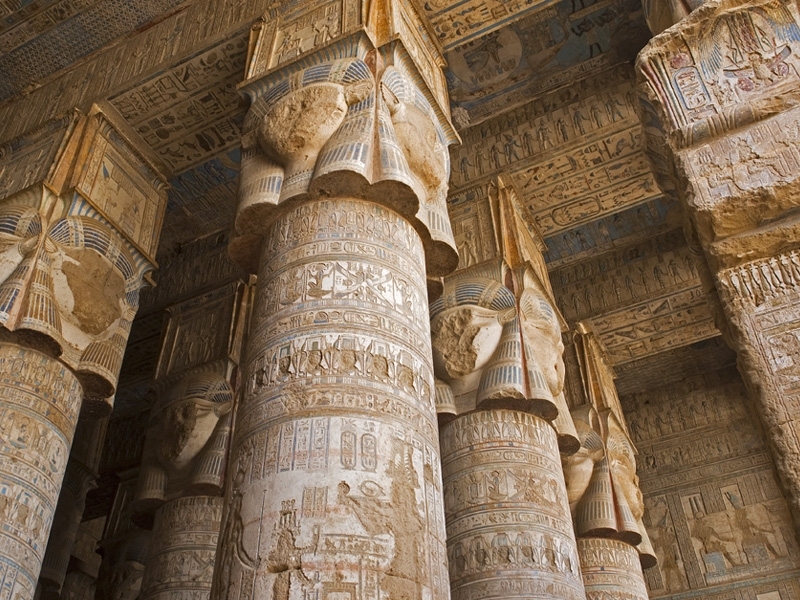 The Temple of Hathor at Denderah lacks the sublime quality of Seti’s edifice at Abydos. However, its fabulous astronomical ceiling and nearly intact rooftop sanctuaries offer a unique insight into the solar rituals at other cult sites where they have not survived. Denderah also shows how Egypt’s Greek and Roman rulers identified themselves with the Pharaohs and deities of Ancient Egypt by copying their Temples and the feet of royalty were shown with all their toes nstead of only the big toe as with the majority of statues as the Ancient Egyptians did. 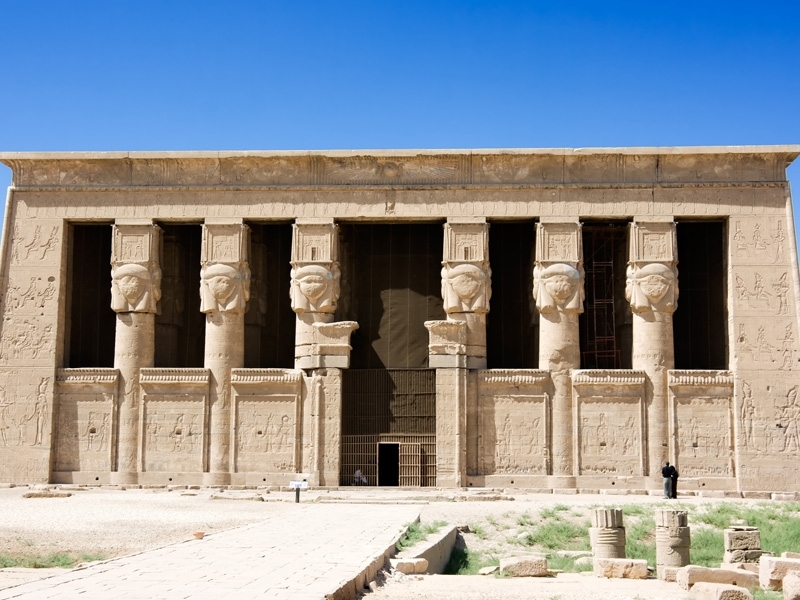 The Temple is also pleasing for the completeness of its mud-brick enclosure walls and its rural setting, with rooftop views of lush countryside and arid hills of the Western Desert. Approaching it by road from Qena, across the Nile, you will pass fields of onions and clover, donkey carts and camels an enjoyable ride by calèche if you have got time to spare or decide to stay in Qena. 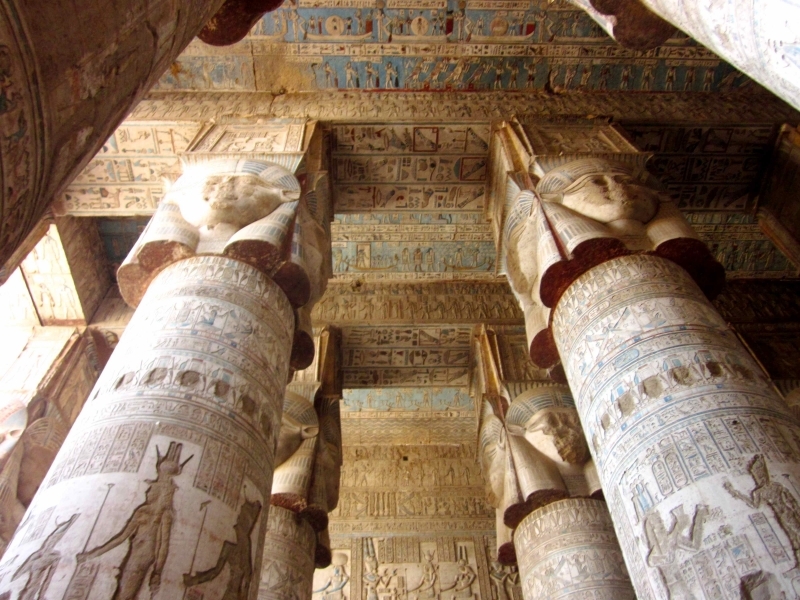 Most tourists visit Denderah together with the Temple at Abydos.